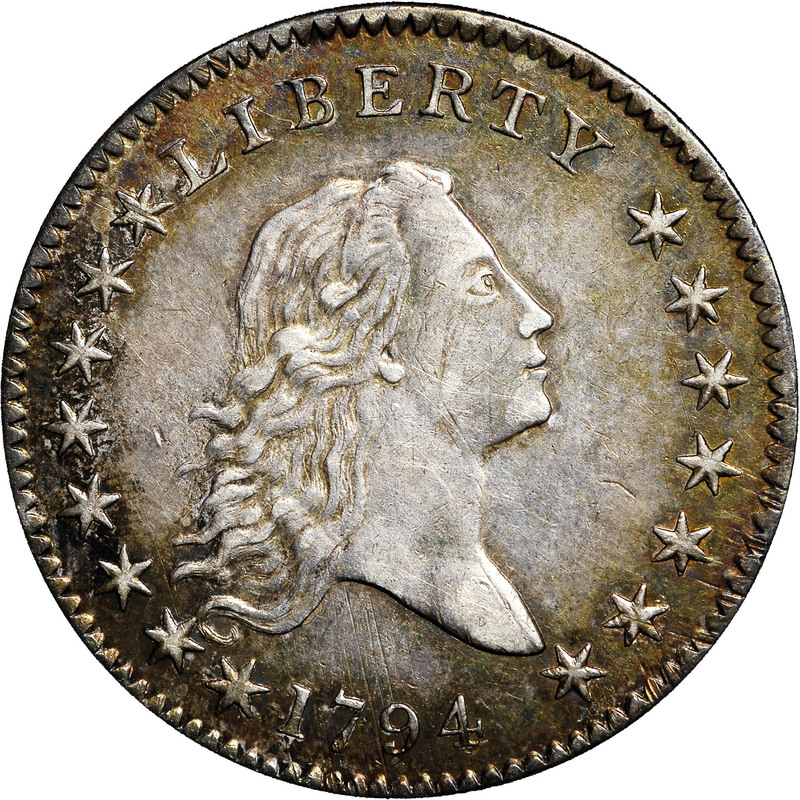 Though the U. S. Mint was up and running early in 1793 the coining of precious metals could not commence until the chief coiner and the assayer had posted their surety bonds of $10,000 each. This was such an enormous sum of money at the time as to preclude their compliance. When the bonds were cut in half by a revised law passed March 3, 1794 wealthy sponsors having an interest in the Mint's progress were found to post bonds on the officers' behalf. Silver dollars came first, followed by a delivery of 5,300 half dollars on October 15. 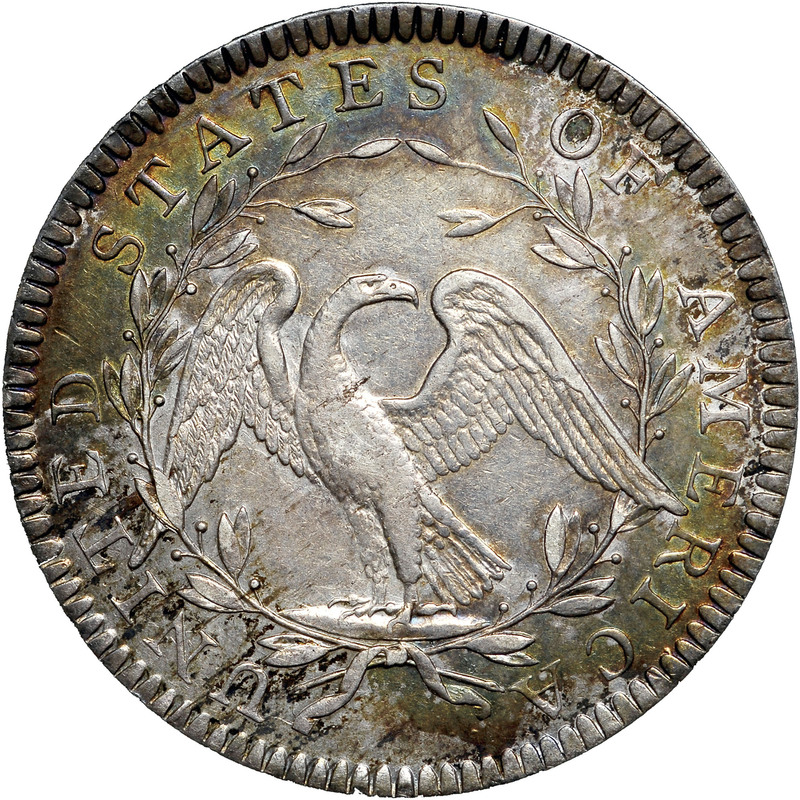 Another 18,164 were delivered February 4, 1795 from dies dated 1794, and these two batches comprise the total mintage of 1794 half dollars. 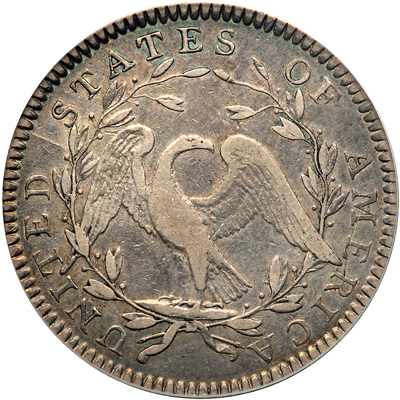 The Mint was still learning how to harden its die steel, and premature failure of dies was a recurring problem. 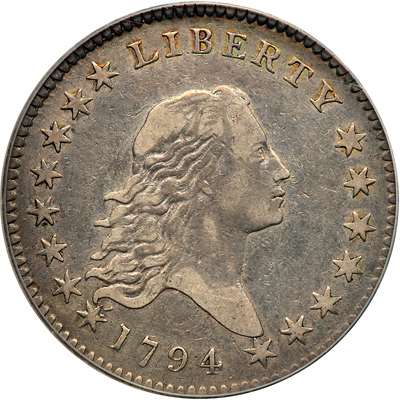 The 1794-dated production therefore required the use of at least six obverse and seven reverse dies presently known to numismatists. While none of the 11 resulting die marriages may be considered common, the standout rarities include Overton Numbers 108 through 111, each having no more than a dozen specimens known. 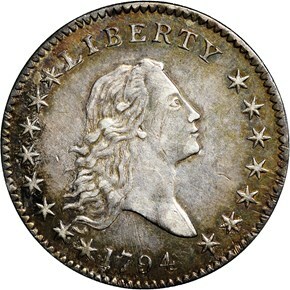 7/20/2010 — Auction will feature Condition Consensus #4 1794 Silver Dollar.